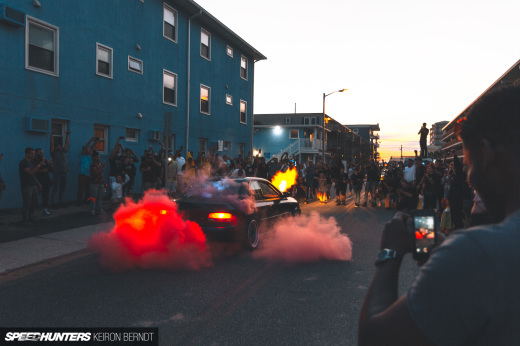 As I’ve said time and time again, the greatest thing about being a Speedhunter is not just getting the chance to photograph and write about the coolest cars in the world. It’s getting the chance to meet their owners, hear their stories and make plenty of new friends along the way. 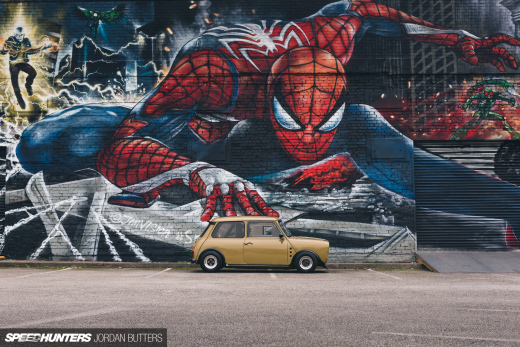 And as so often has been the case during the last five years, the cooler and more unique a car is – the more fascinating its owner often is. 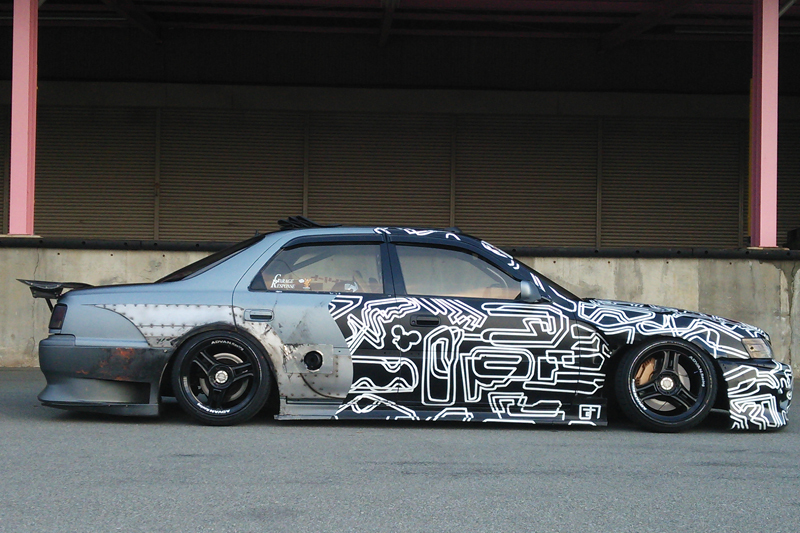 That is absolutely the case with a certain JZX100 Toyota Cresta I encountered during my last visit to Japan. 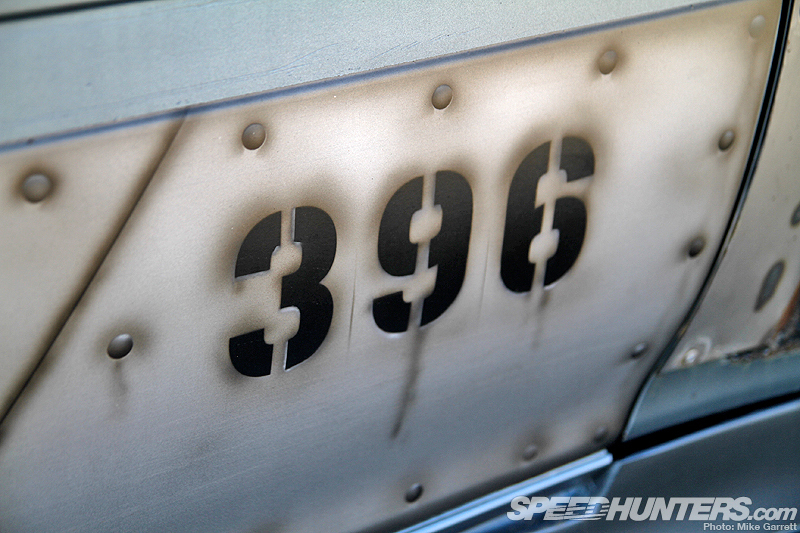 The story begins in the halls of Makuhari Messe during this year’s Tokyo Auto Salon. As I fought off the jet lag and reacquainted myself with the madness of TAS on the first day of the show, there was one car that stood out to me more than any other. 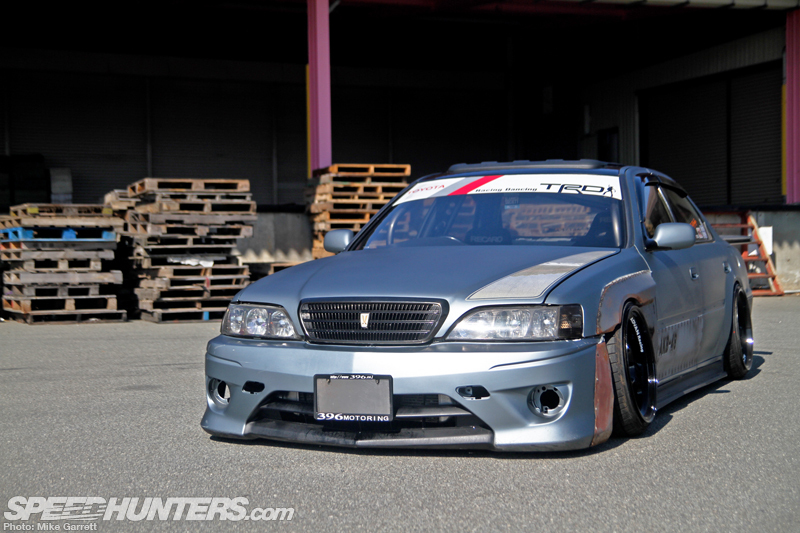 It wasn’t a factory concept car or a demo car from a big tuning company, it was a privately owned and built Cresta in the Drift Tengoku magazine booth. A car that didn’t arrive at Auto Salon on a fancy transporter, but one that drove in from Yamanashi Prefecture, across mountain roads and jam-packed expressways in the middle of winter. 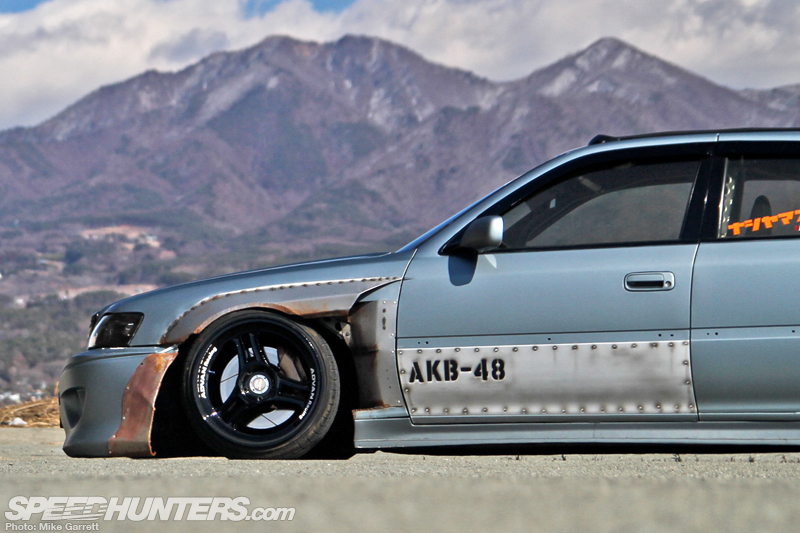 Perhaps this is related to my own slightly twisted taste in cars, but for me this JZX100 checked every box. The car was cool, it was unique and it was full of so many hand-crafted custom touches that I lost count about 30 seconds in. Better yet, its presence in the Dori-ten booth obviously meant the car was built to do much more than just make people grin at car shows. Anyways, I introduced myself to the car’s owner and builder, Mr. Suguru Ishiai, and quickly found out this wasn’t the first time I’d seen this car. 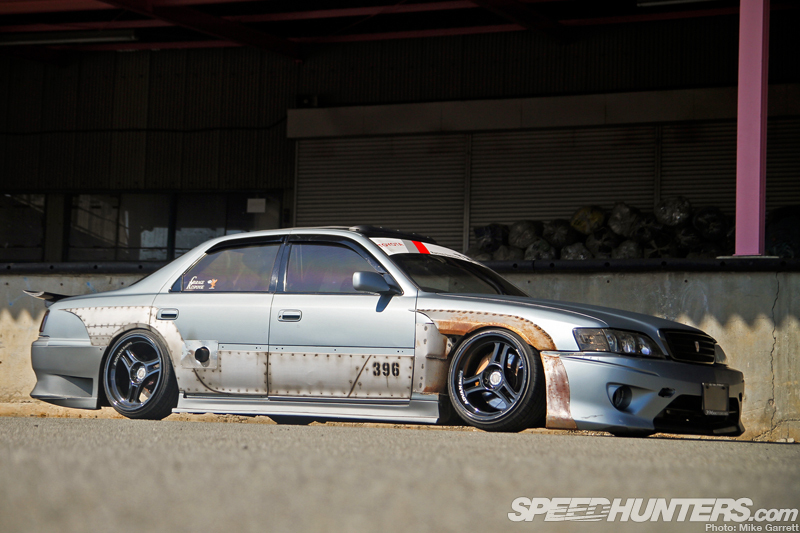 I’d actually photographed the very same machine during a drift event at Fuji Speedway way back in the beginning of 2009 and Ishiai-san had been a Speedhunters fan ever since. I suppose I can be forgiven for not remembering the car as, it was hardly recognizable as the same automobile. Once he told me about the custom gold paintwork the car used to have, it all came back to me. Needless to say at this point, I asked Ishiai-san if I could shoot the car for a feature and he enthusiastically said yes. The original plan was to photograph it immediately after TAS wrapped up, and before he made the long drive back home to Yamanashi. We attempted the shoot, but unfortunately (or fortunately as it turned out to be), the conditions didn’t cooperate. Night had fallen, the roads leaving Makuhari were at a standstill and worse yet there was a rapidly approaching snowstorm that threatened to bring the Tokyo area to a halt. 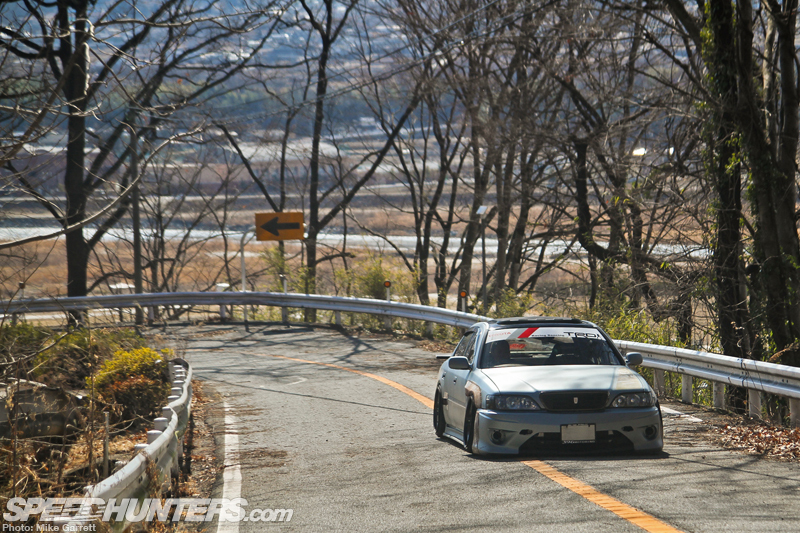 It was important that Ishiai-san get home before the snow-covered roads made his slammed street machine undriveable. Naturally I was feeling quite discouraged, but I told Ishiai-san that I would do my absolute best to get out to Yamanashi to shoot the car some time before I returned to the US. Fast forward about a month later and there I was putting my JR rail pass to good use and heading out to the mountainous countryside of Japan to take care of some unfinished business and make good on my promise. As things turned out, it ended up being the perfect way to bookend what had been an amazing 30-plus days in Japan. Not only did this little side trip allow me to spend some time hanging out with Ishiai-san and looking at his 396 Motoring workshop (more on that in the next post), but I was able to fully commit myself to taking in the details on his amazing car. 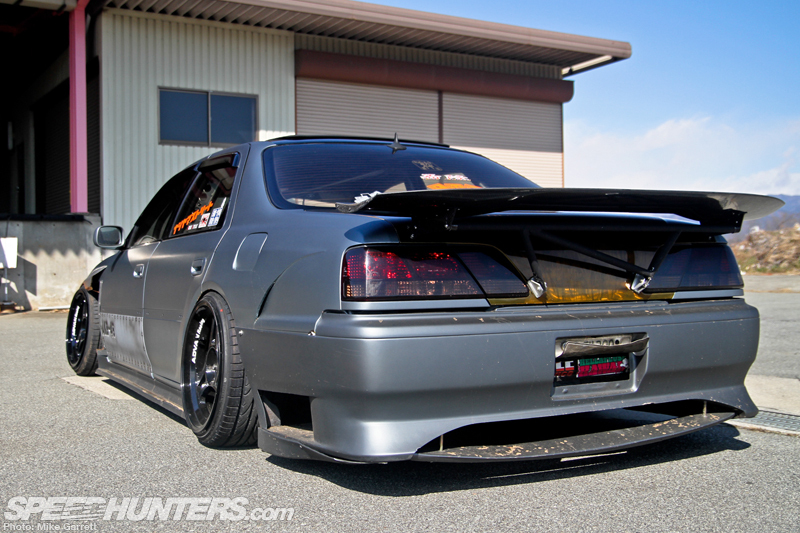 First of all, there’s the fact the car is built out of a Cresta, which in itself is easily the rarest of the JZX100 trio and always a welcome sight when it comes to street and drift car builds. 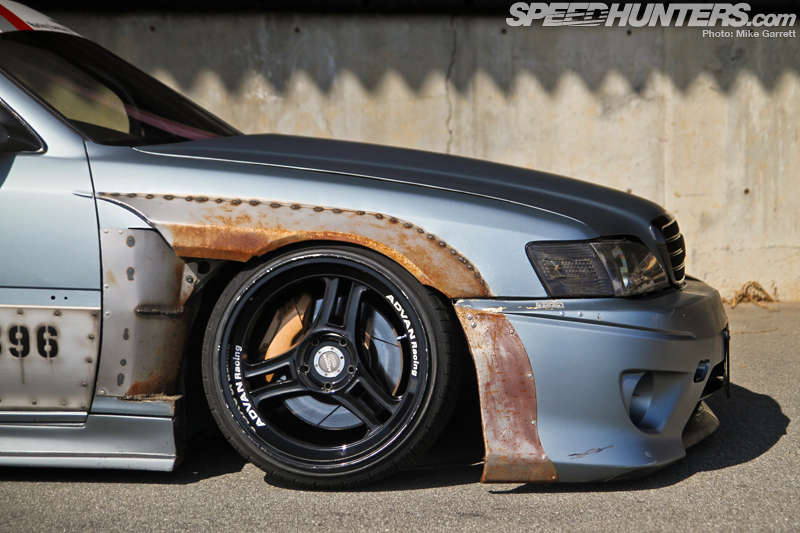 After that, the next thing your eye goes to might be the crazy looking custom bodywork – namely the fenders. As part of his day job, Ishiai-san works as a fabricator and metal man on big trucks and other heavy equipment. This is easily apparent when you look at the Cresta’s hand-formed steel front fenders, which have been left raw and rusty for an industrial, rat rod-esque look. But the custom steel fenders are really just the beginning of a build that uses very few off-the-shelf parts. The rear bumper and sideskirts for example are heavily-modified parts originally from T&E catalog. 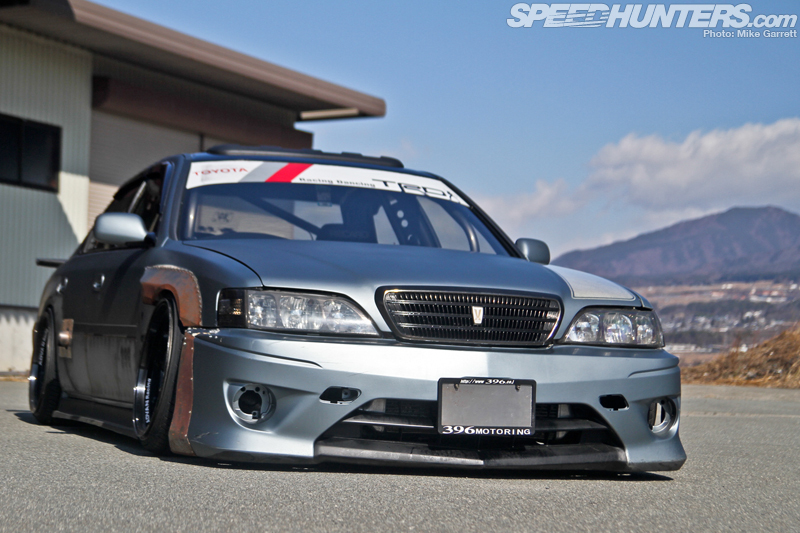 The front bumper meanwhile was originally made for ACR30 Toyota Estima minivan before Ishiai-san took it and customized it to work on the Cresta. 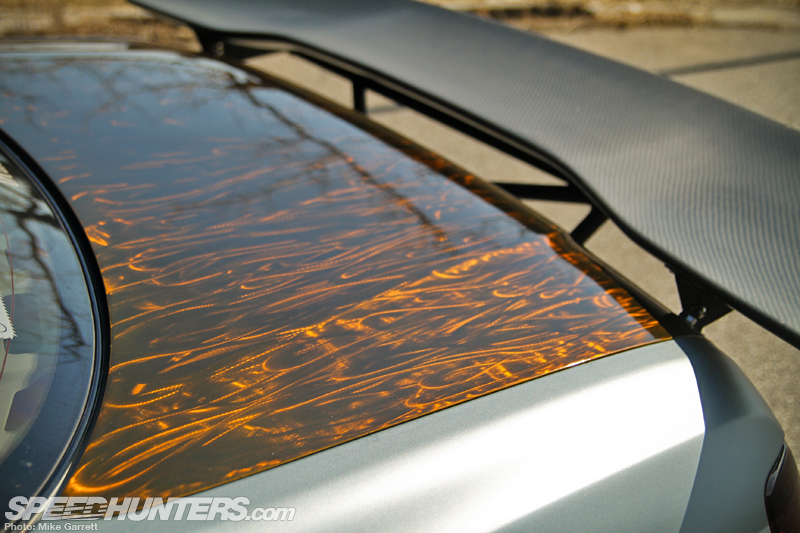 Out back is a D-Speed low mount carbon fiber wing that’s also been customized from its original state. Also note the custom metal finish on the trunklid, which contrasts nicely with the steel blue color on the rest of the body. 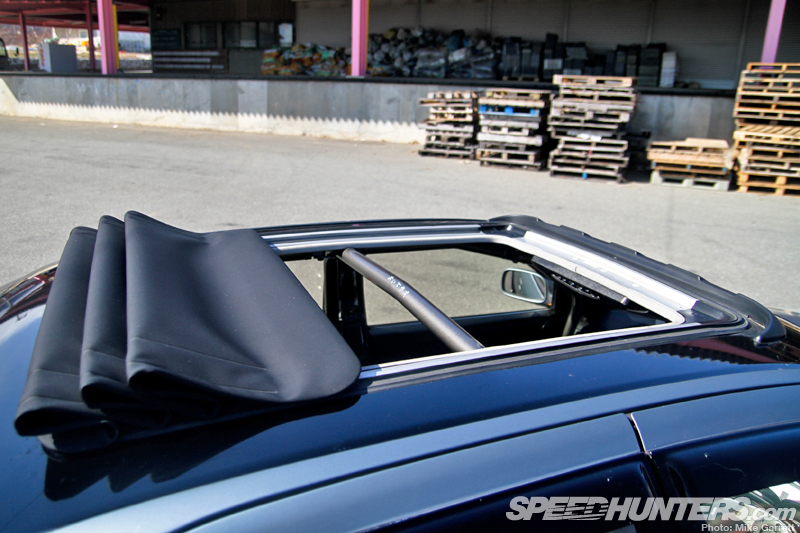 … that’s operated just as a factory sunroof would be. You just gotta love it. … and lay your eyes on the fully hot-rodded mill that lies beneath it. 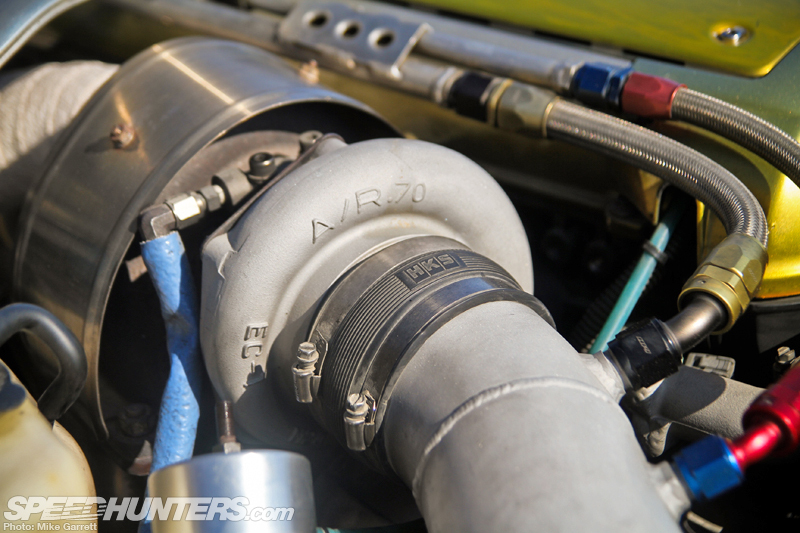 Built using the proven combination of a 2JZ block and a 1JZ head, the 1.5JZ hybrid motor is equipped with an HKS V Cam kit, and HKS F-Con V Pro system and most importantly a single HKS T04R turbocharger. 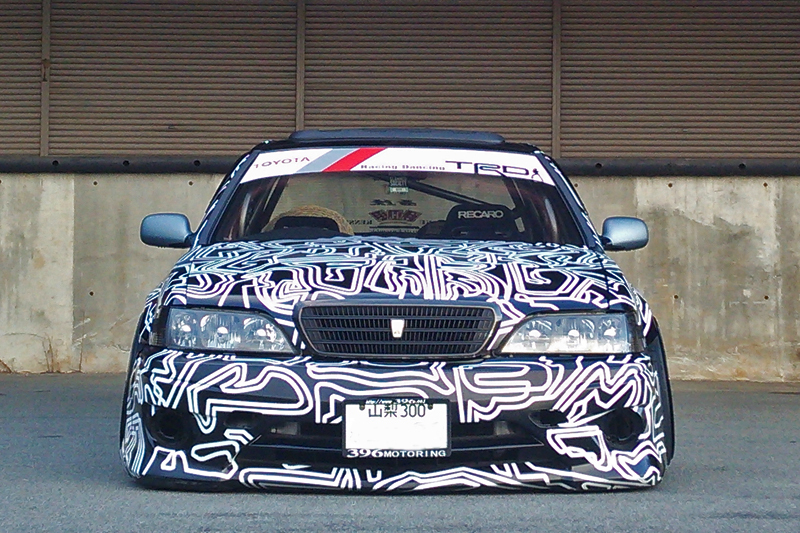 All together, the setup is good for a very potent 536ps and 462lb/ft torque – which Ishiai-san makes use of very often. … and out through a hole in the driver’s side rear door. 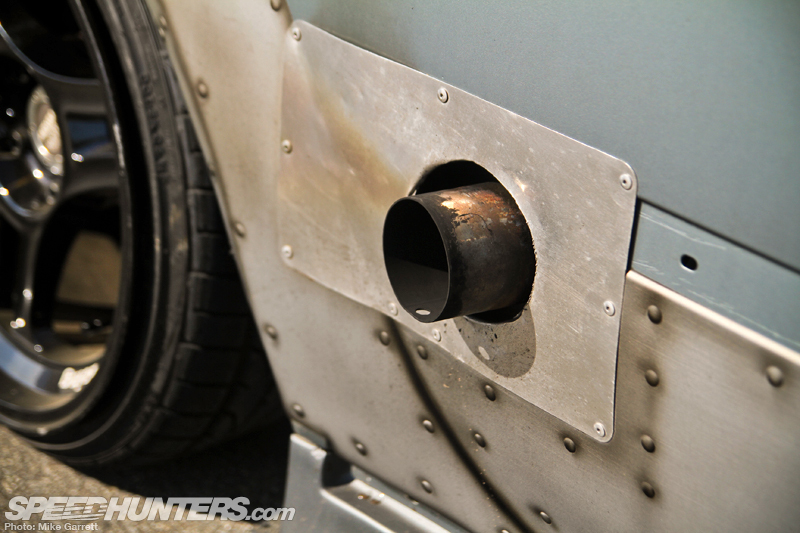 Another cool industrial touch, that as you might imagine sounds totally awesome when he lays into the throttle of the turbo six. 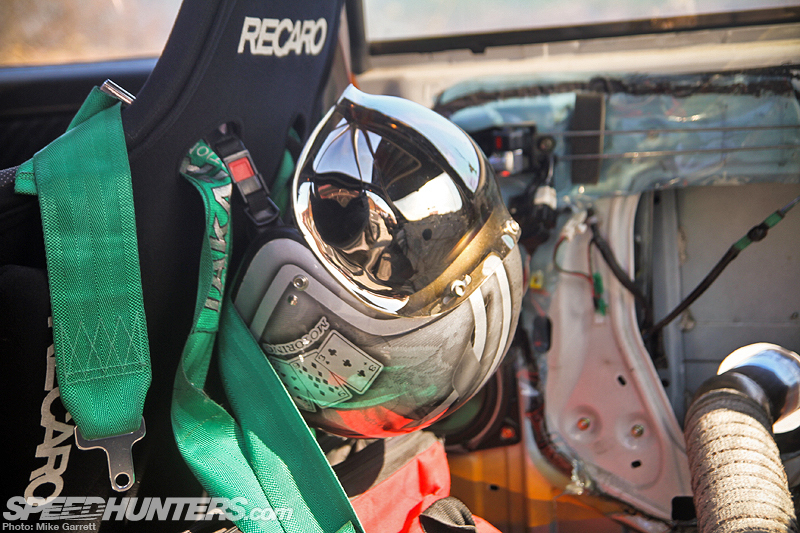 Inside, the Cresta has a typically Japanese mix of both stripped-out race car and luxury cruiser elements. Although originally designed as a roomy sedan, rear seat passengers won’t find much comfort here. 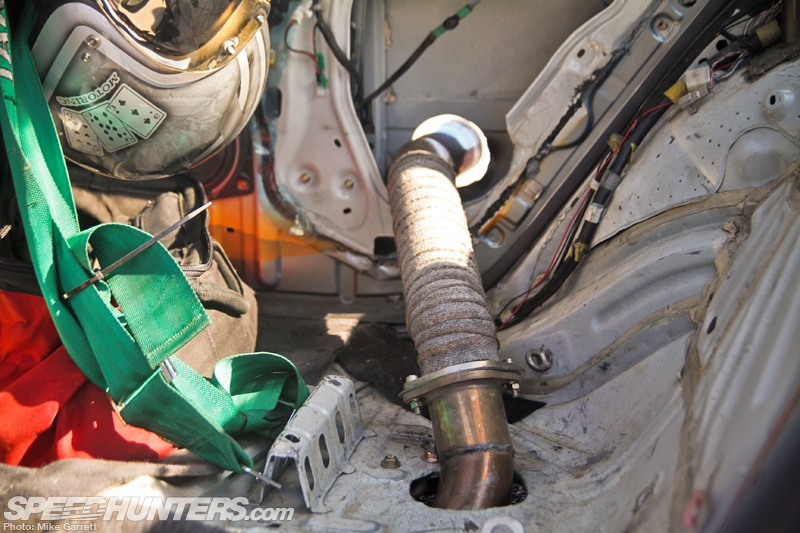 The spot where the back seat once sat is now occupied by things like the aforementioned exhaust system and a nine-point cage from Saito Roll Cage. 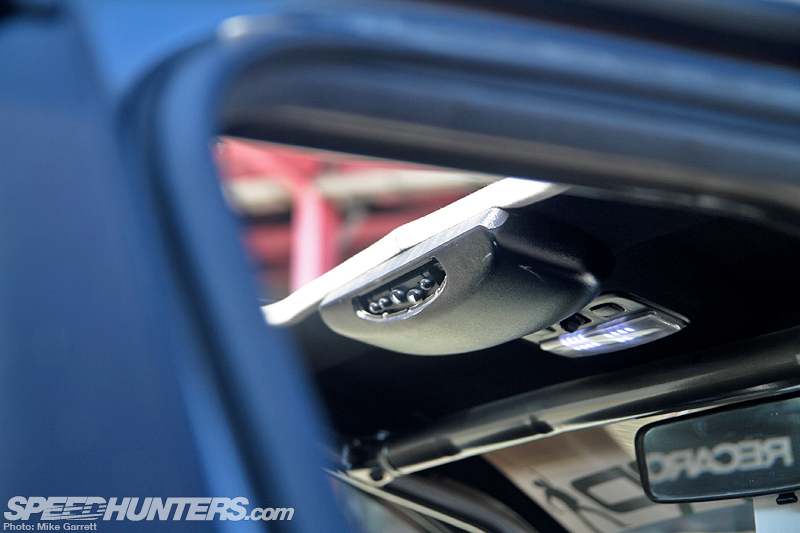 … along with a full set-up of Defi gauges to monitor what’s happening under the hood. 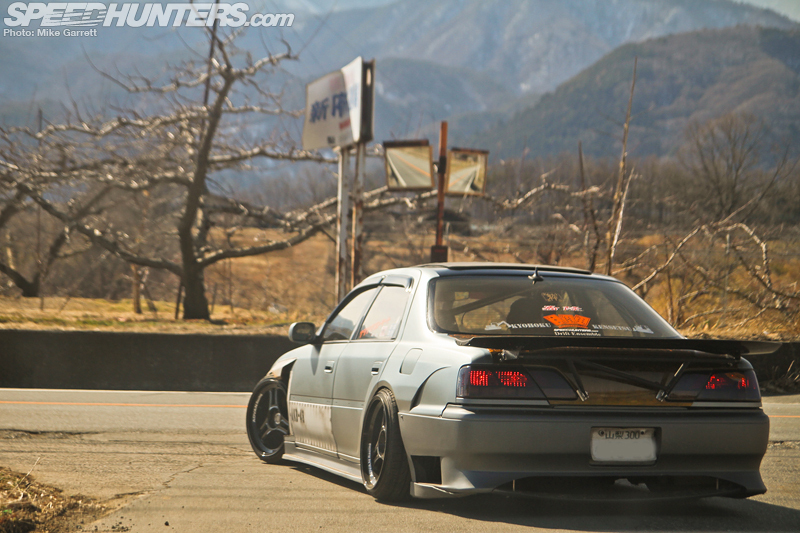 The car rides low on a set of one-off coilovers, and Ishiai-san’s wheel choice is just as unique as the rest of the car. 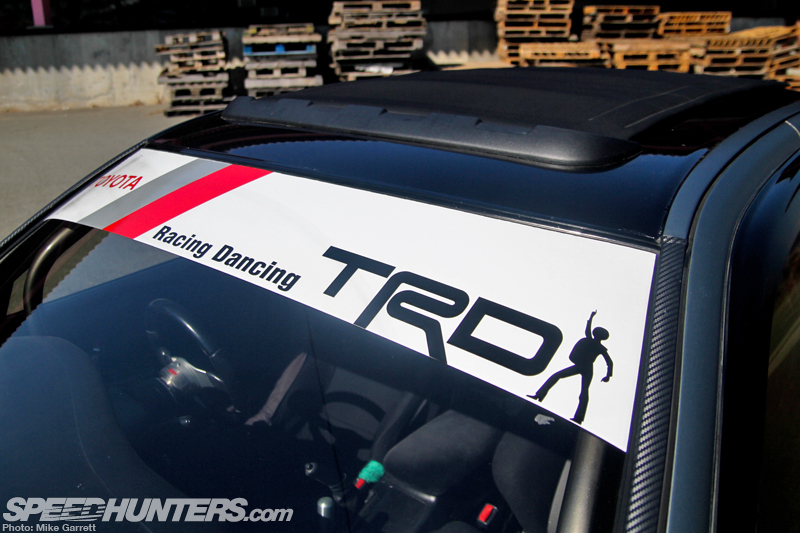 Those are vintage Advan Racing RA-DT3s, 18×10-inch all around. 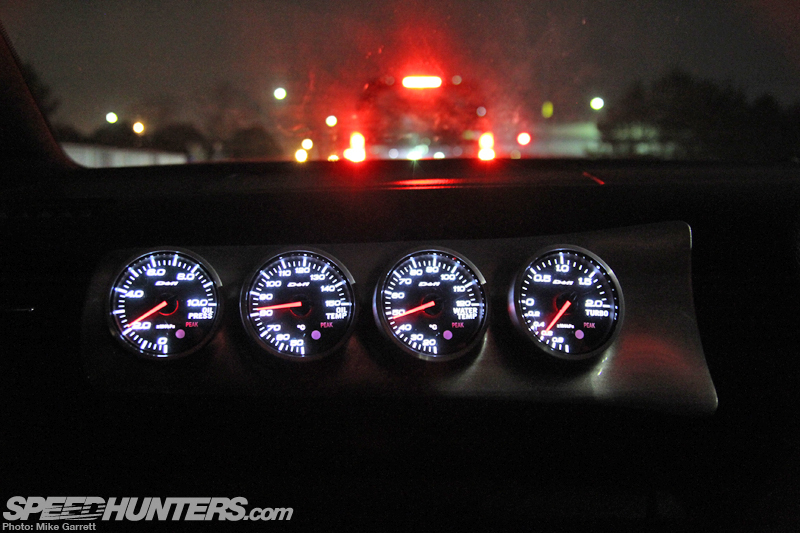 When was the last time you saw a set of these on a drift car? While the car looks pretty mean when its standing still, it looks even better when it’s cruising down the road, sitting just a couple centimeters off the ground and spitting music from that side exit exhaust. 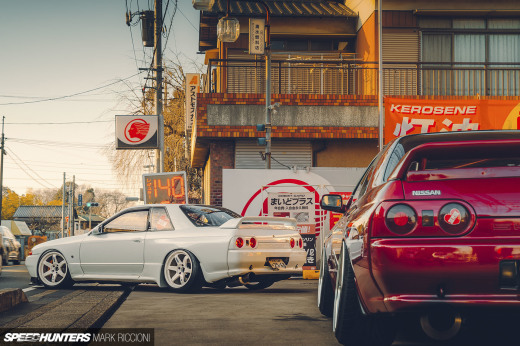 And as evidenced by his road trip to Chiba for Tokyo Auto Salon, he has no problem driving the car on the street – even at the cost of the occasional detached bumper or dirty looks from those neighborhood citizen patrols. But even better than that is the sight and sound of the car when it’s thrown sideways with smoke pouring out of the rear tire wells. 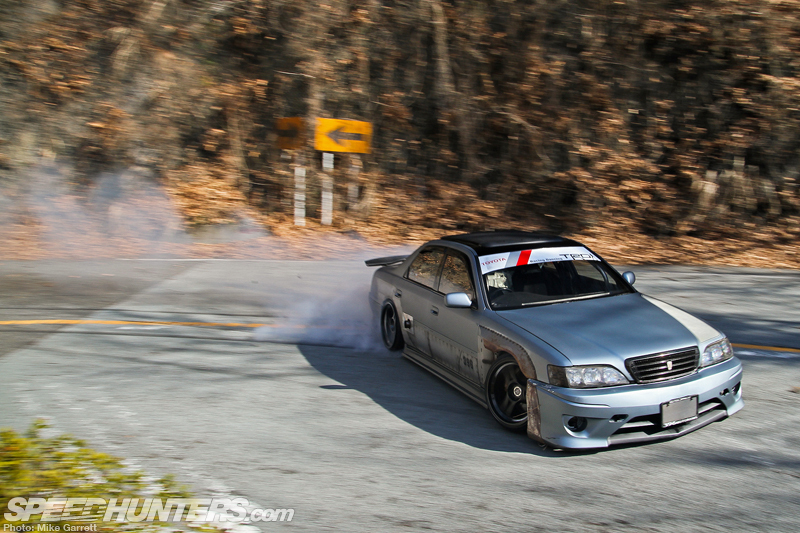 Ishiai-san can be found drifting regularly at places like Fuji Speedway or his home course, Yamanashi Sports Land. So not only does the car have a style like I’ve never seen before, but it’s also driven hard and driven well. 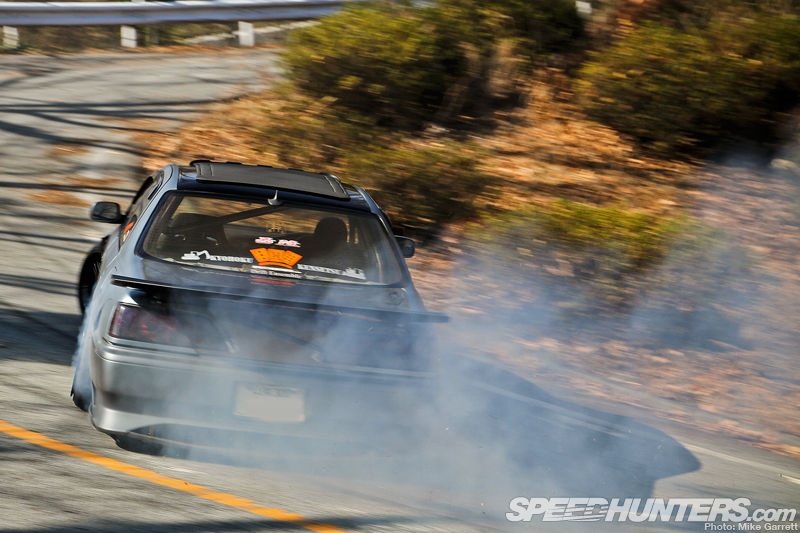 Another piece of evidence to support my never-ending love affair with the Japanese drift car. … to the shout-out on the door to the world’s best girl group. ‘Serious’ is certainly not a word I’d use when describing this thing, and for that I adore it. And like most of the world’s talented and creative car builders, Suguru Ishiai is never really done with his projects. In the time since I’ve shot the car, he’s already begun work on the Cresta’s new paint job. For this concept, he’s taken inspiration from the McLaren P1 test car and formed a camouflage scheme using the outlines of racing circuits from across Japan – although I think I also see a Mickey Mouse in there. In the end, the thing I love most about the 396 Motoring Cresta it that this car is built for fun above all else. That’s something I think gets lost all too frequently in this age of internet arguments and people telling each other the right and wrong way to own a car. 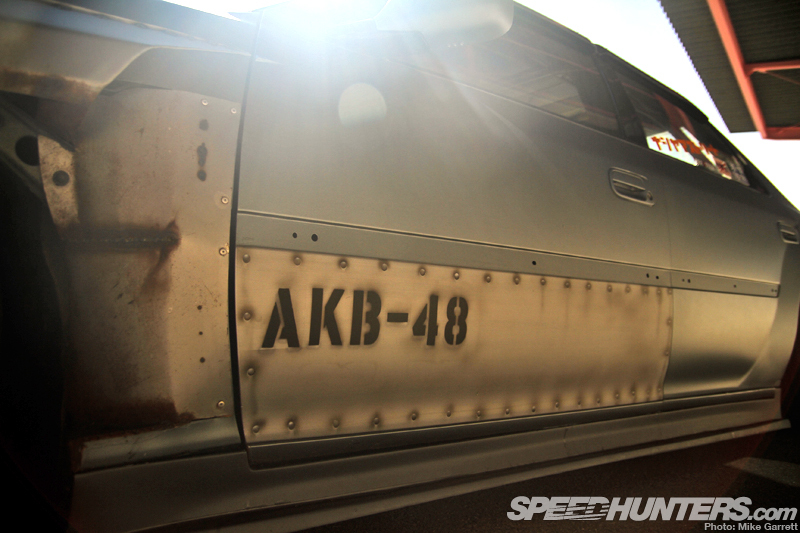 So, there you have it – my MVP of Tokyo Auto Salon 2013 and one of my most memorable shoots ever. Next up, we’ll stay in Yamanashi for a look at Ishiai-san’s workshop and hang-out. Don’t miss it.